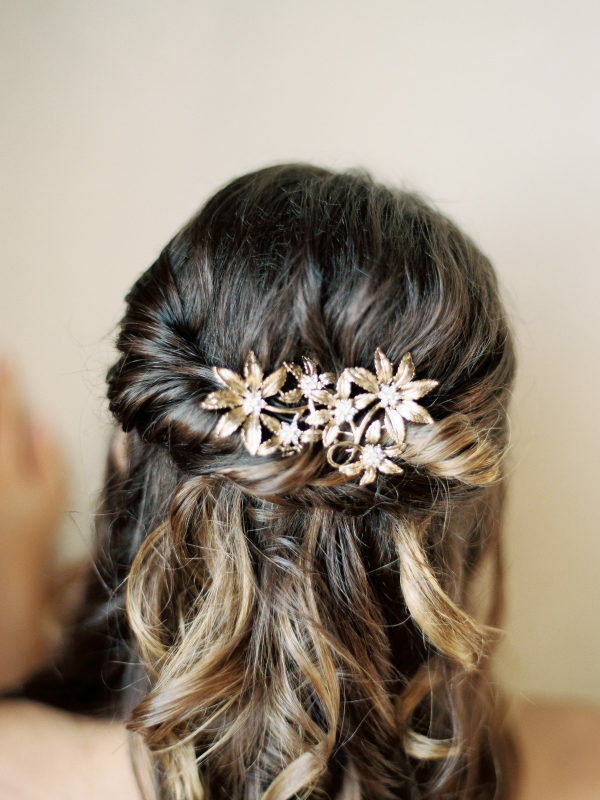 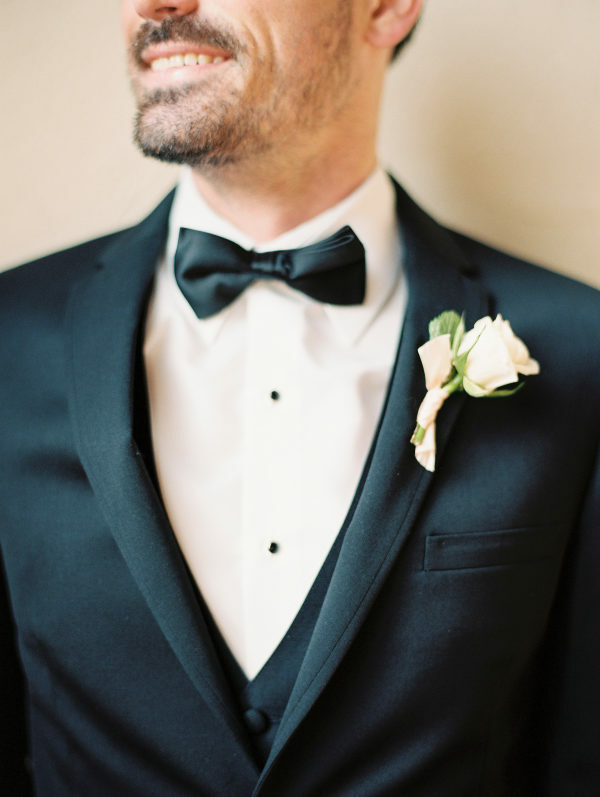 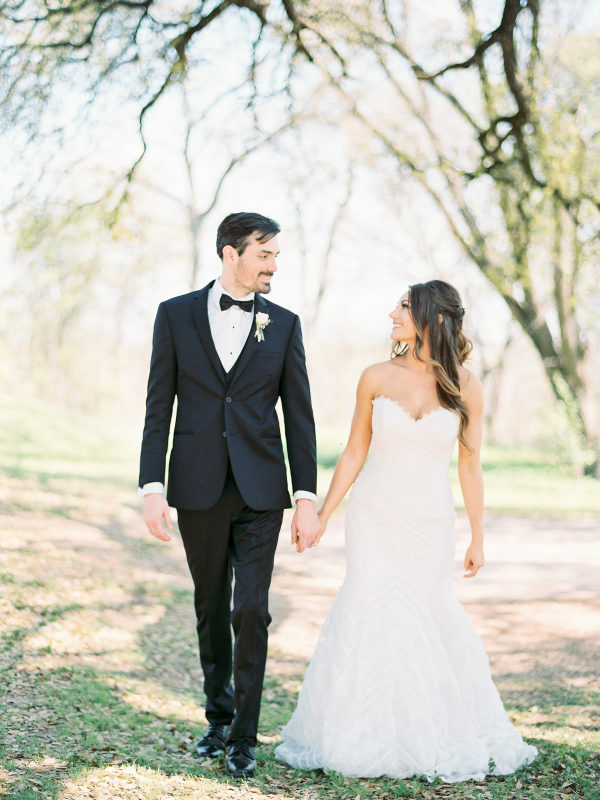 It’s hard to put in words how gorgeous this modern wedding inspiration shoot is by Dani Cowan Photography, but we’re going to try! 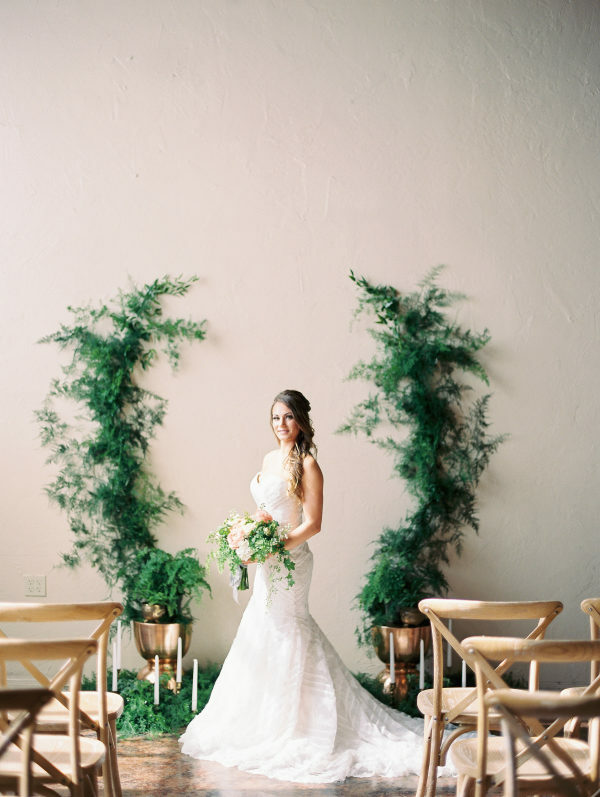 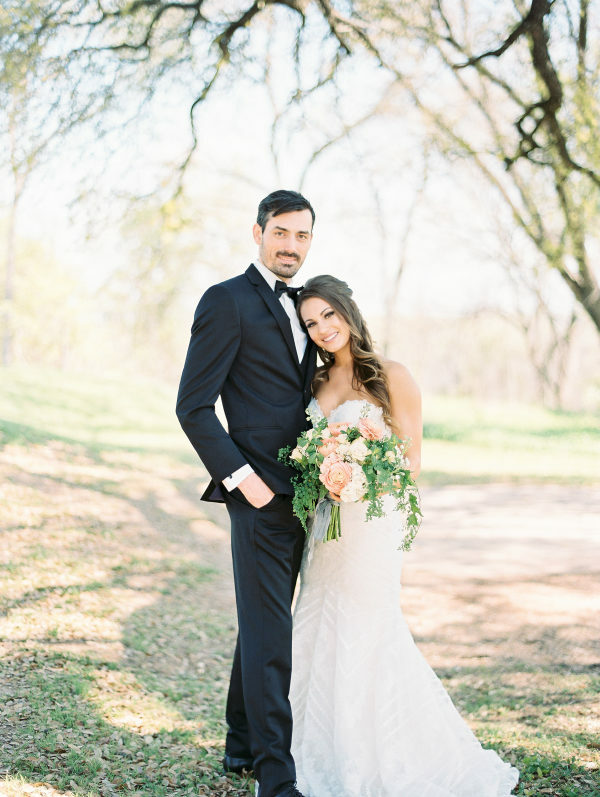 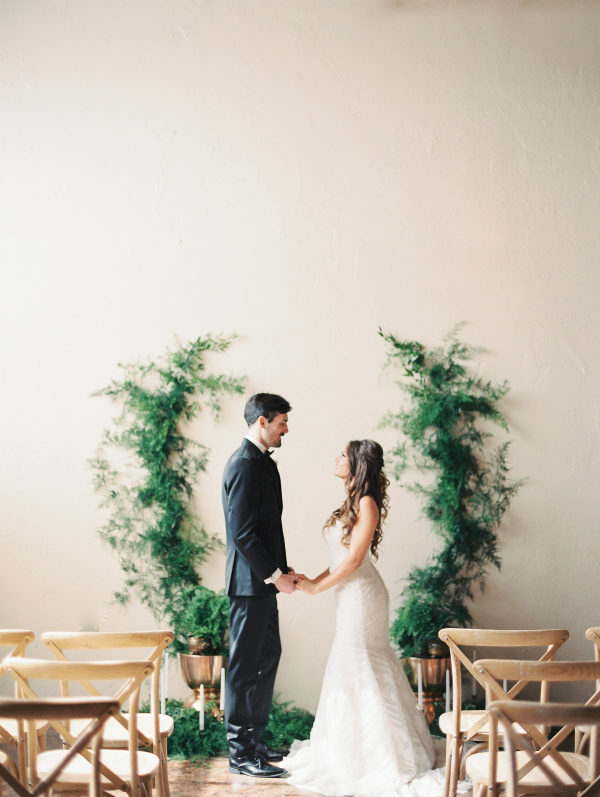 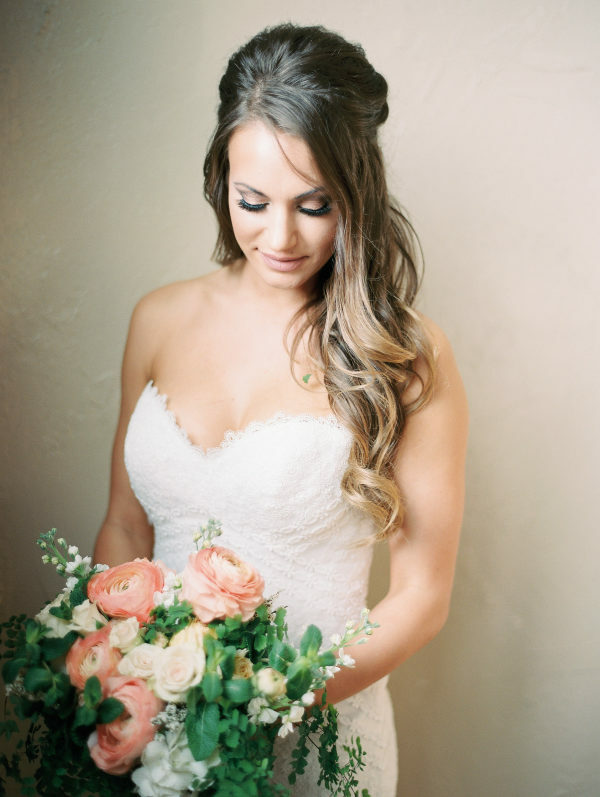 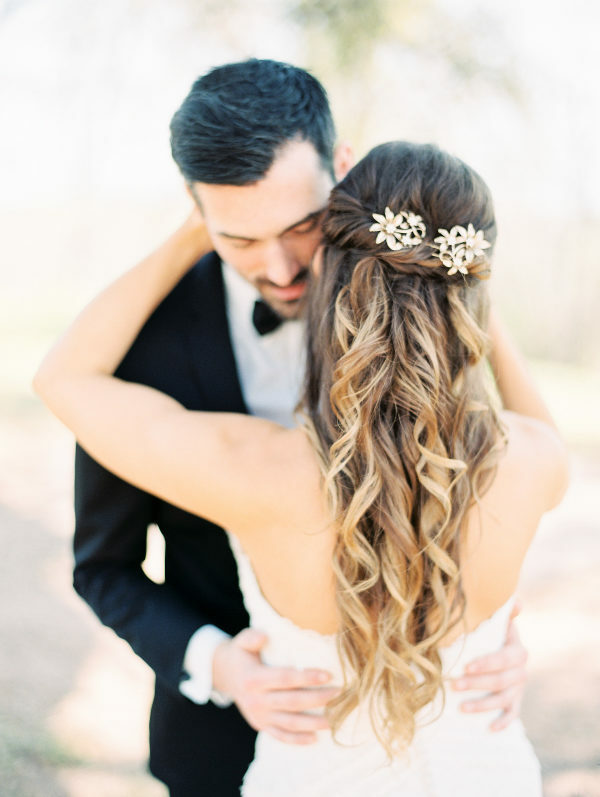 This Texas shoot goes for chic and stylish vibes with details like the bride’s mermaid gown from Georgio’s Bridal, the unique greenery ceremony backdrop, the breathtaking florals by Lovely Leaves and romantic taper candles lining the reception table. 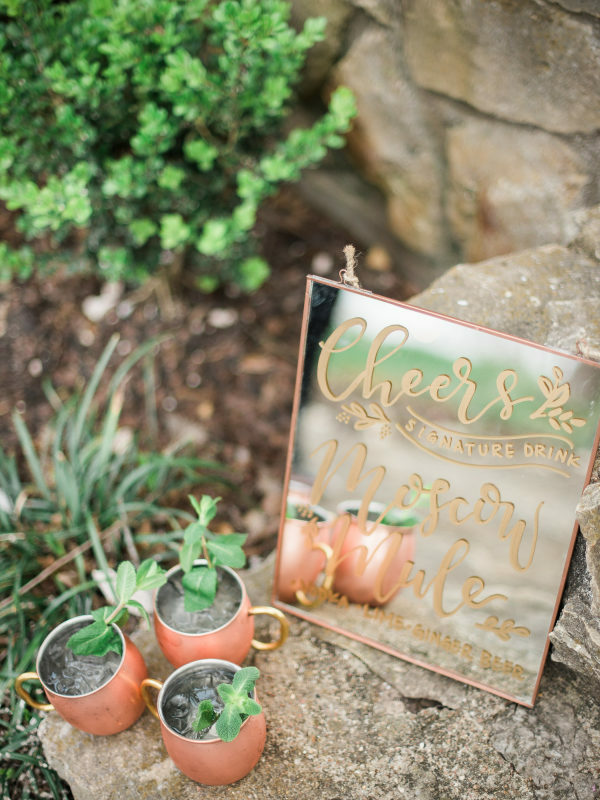 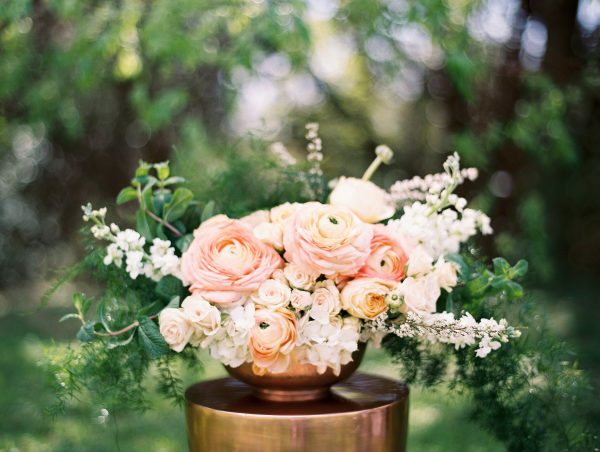 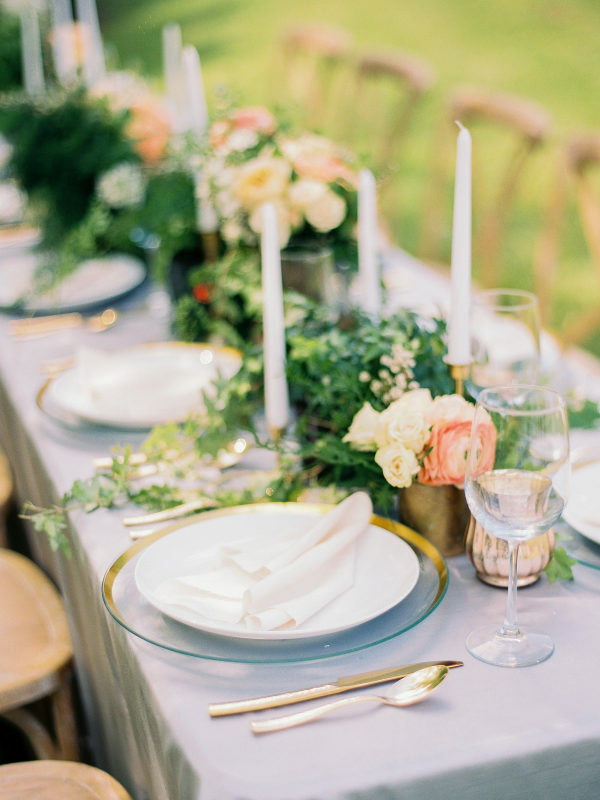 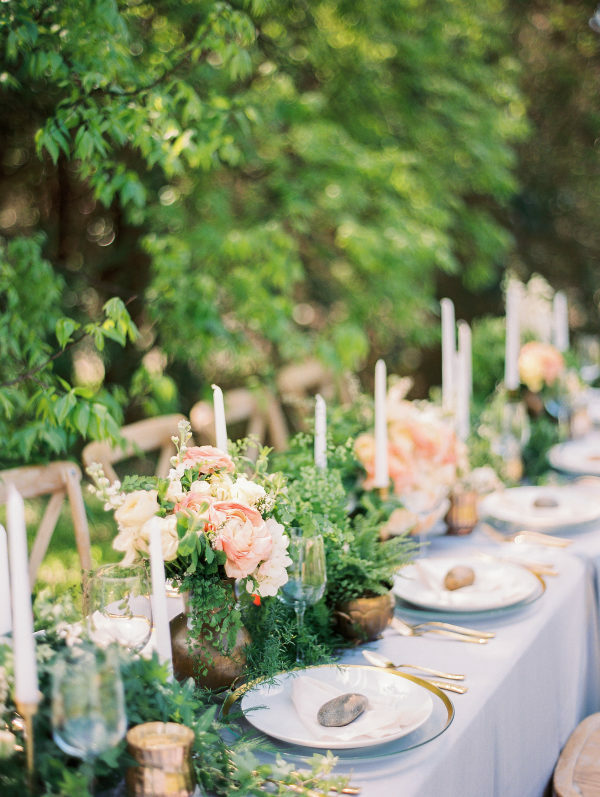 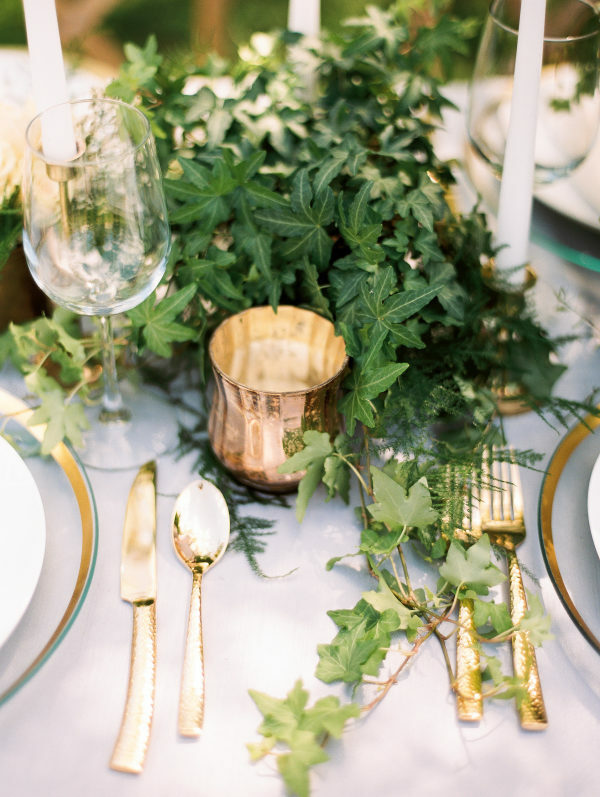 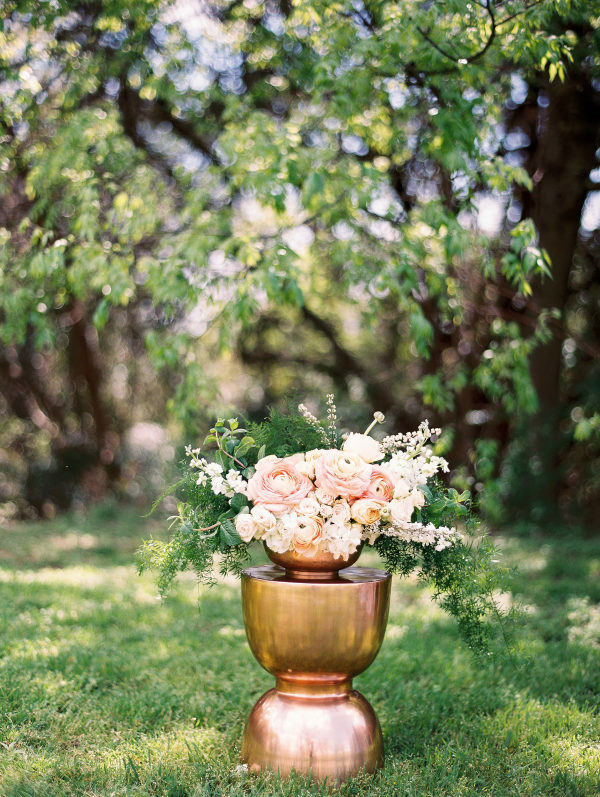 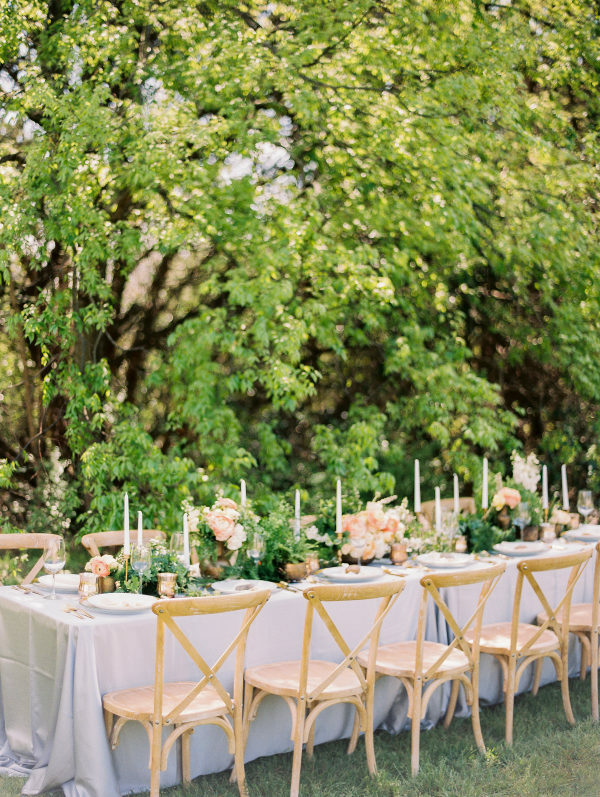 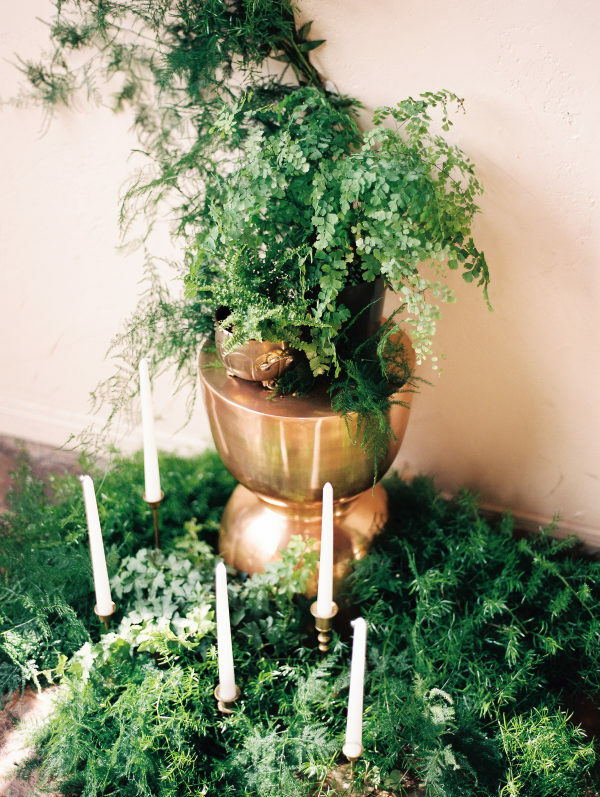 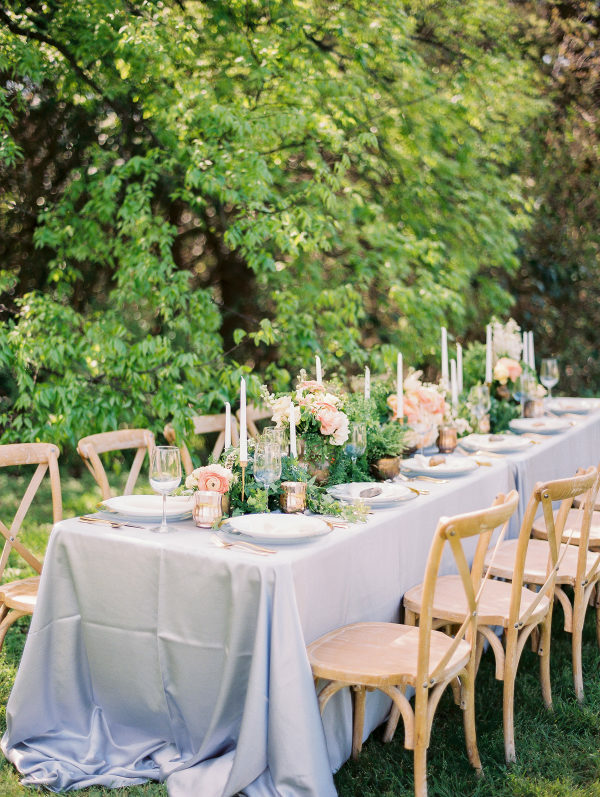 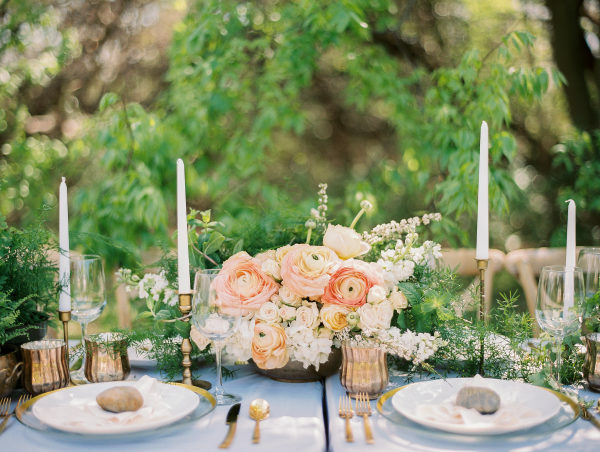 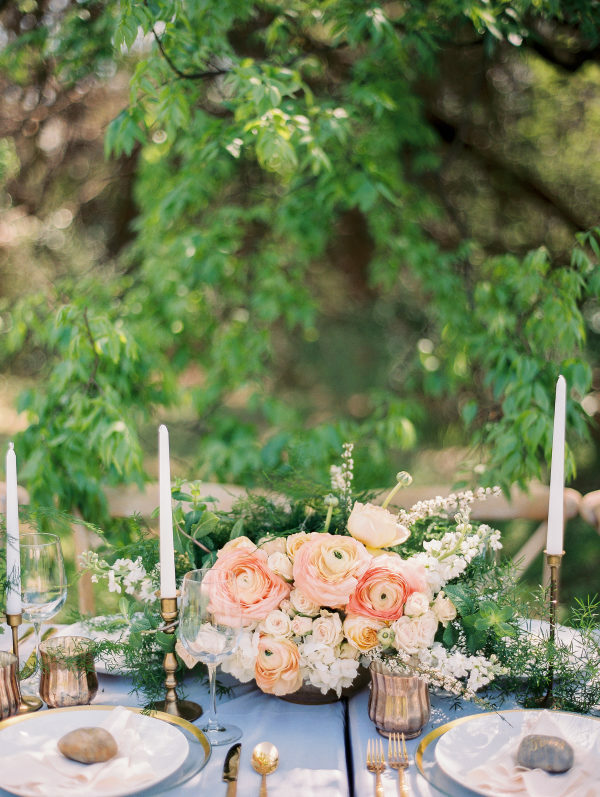 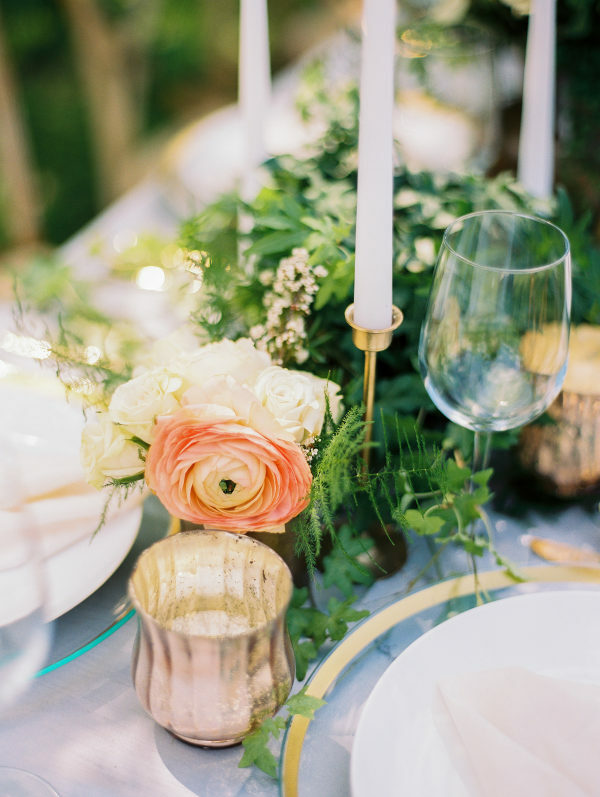 We’re inspired by the wide-ranged color palette including lavender linens, blush and peach blooms, gold, and of course brass and copper metallics. 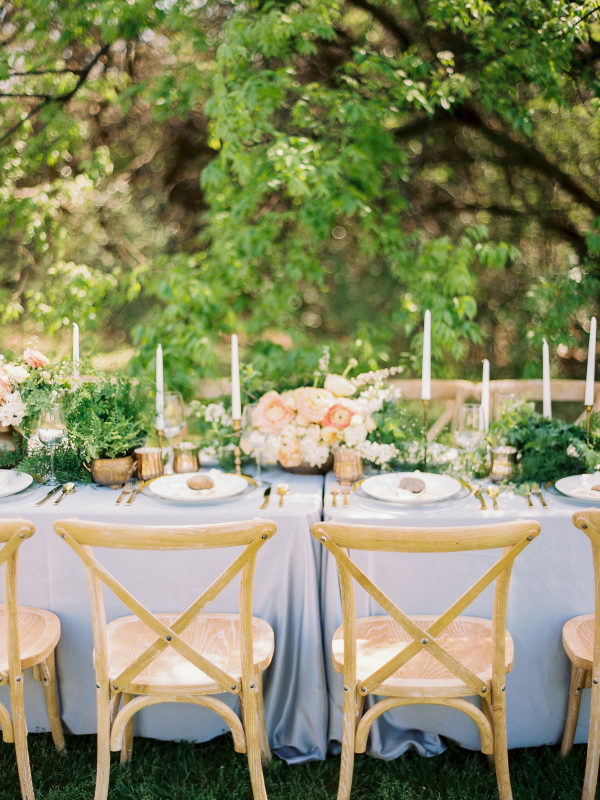 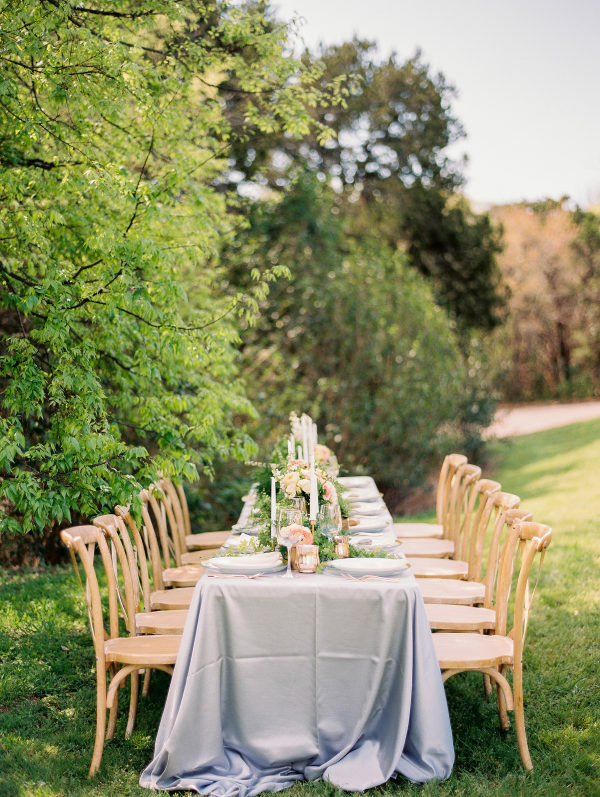 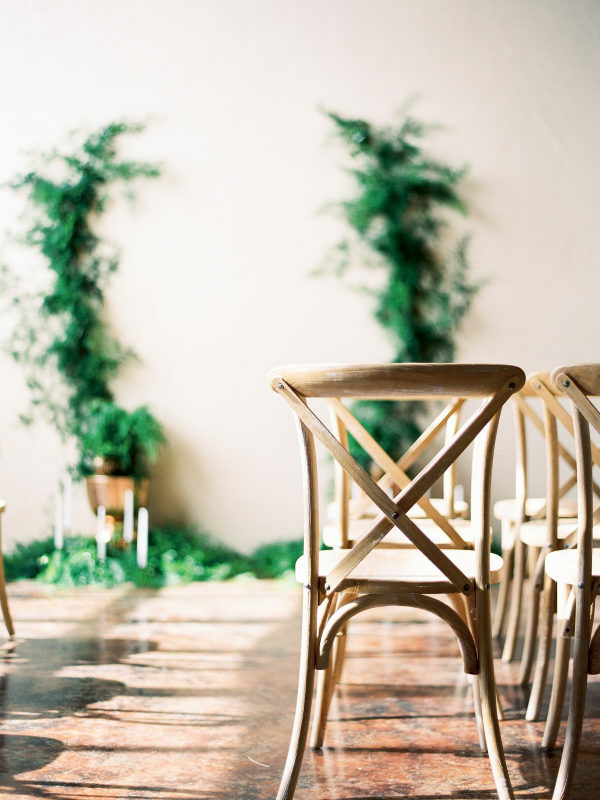 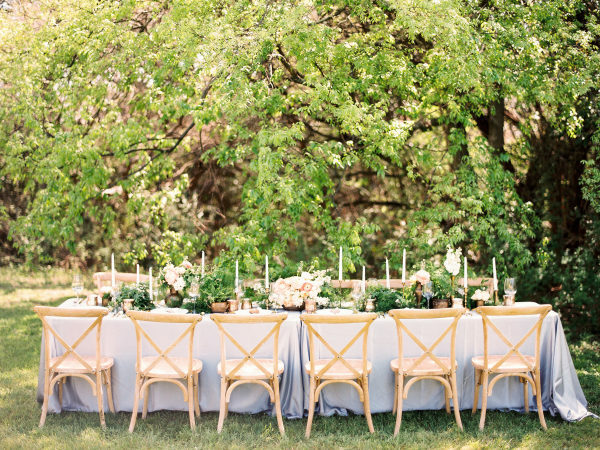 The relaxed, al fresco outdoor reception set-up was complemented by classic wooden chairs and the chic metallic decor. 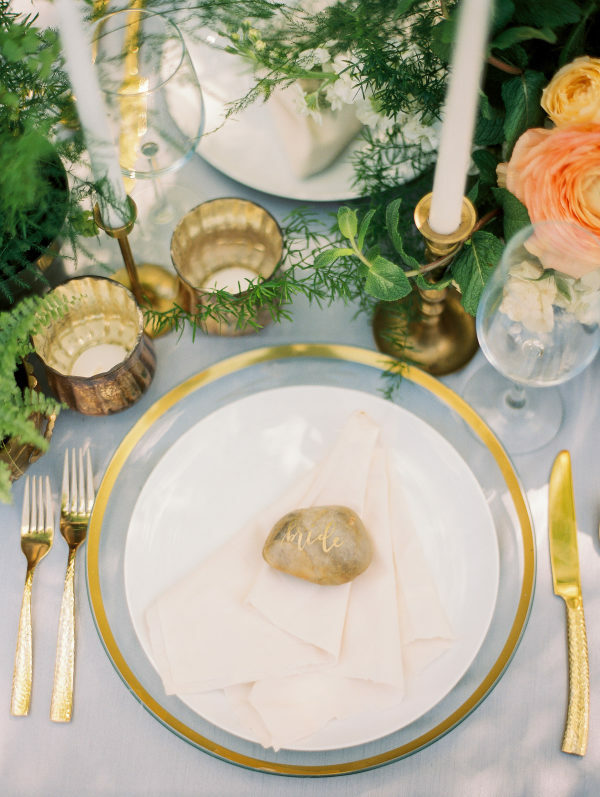 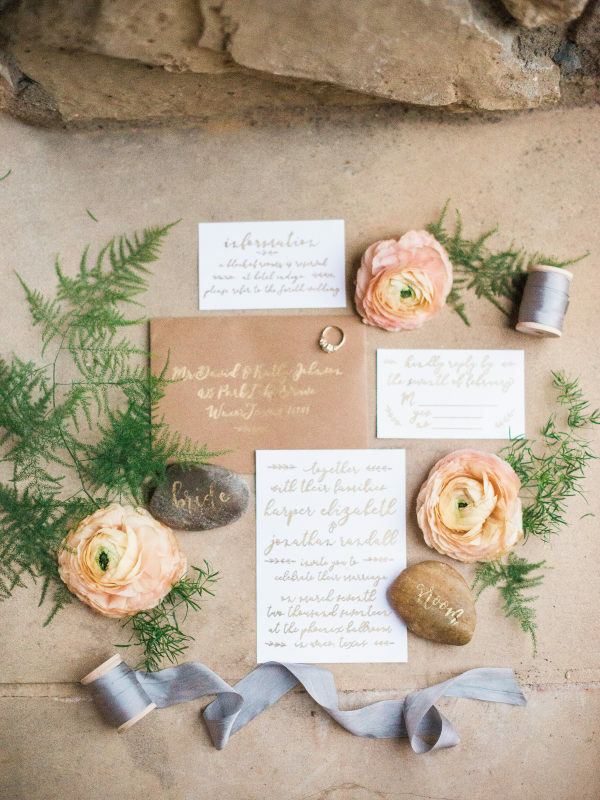 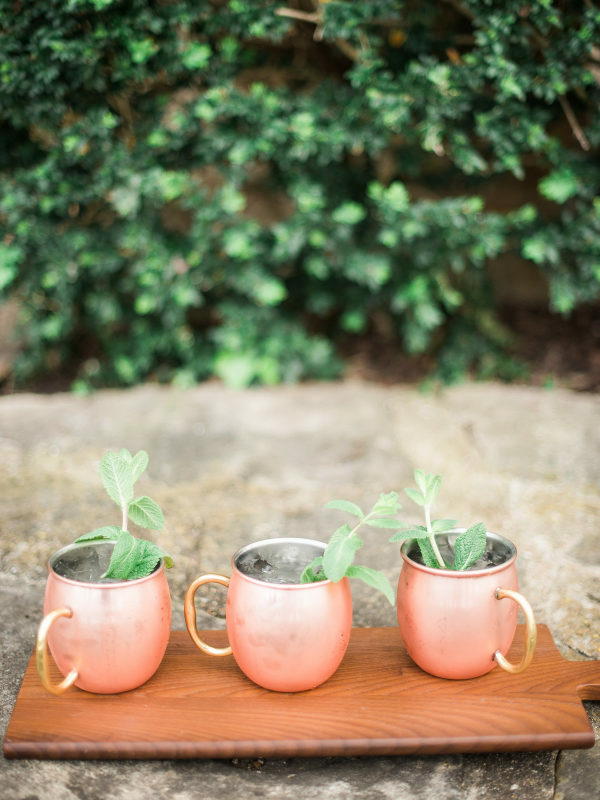 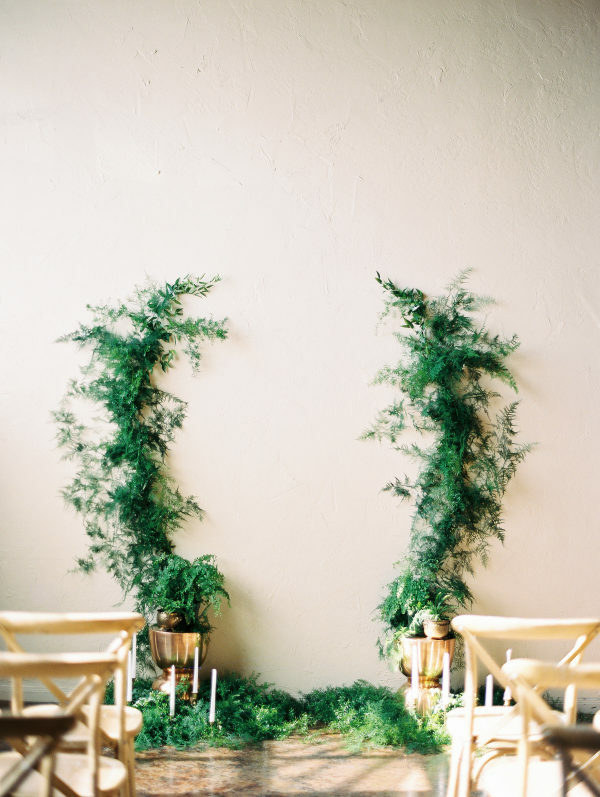 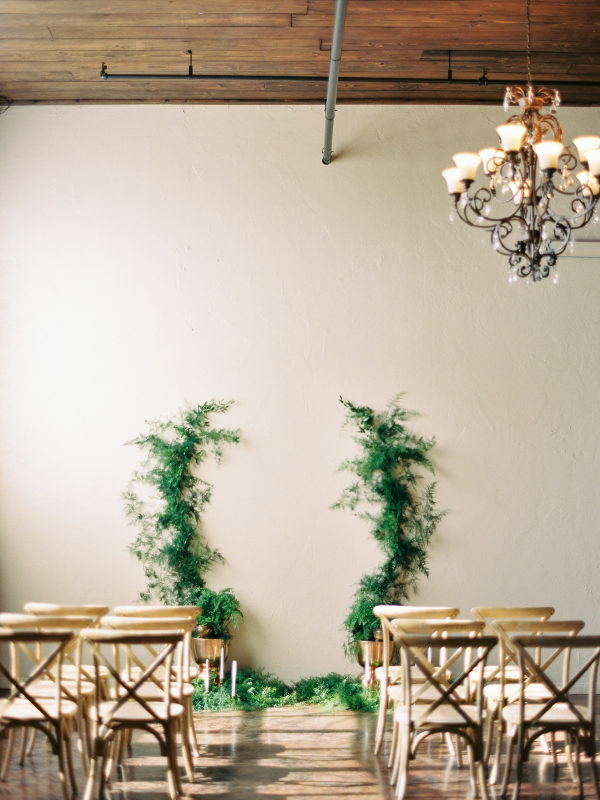 These vendors packed the elegance in all the details — creative calligraphy on river rocks, vibrant greenery from beginning to end and a dreamy stone marble cake. 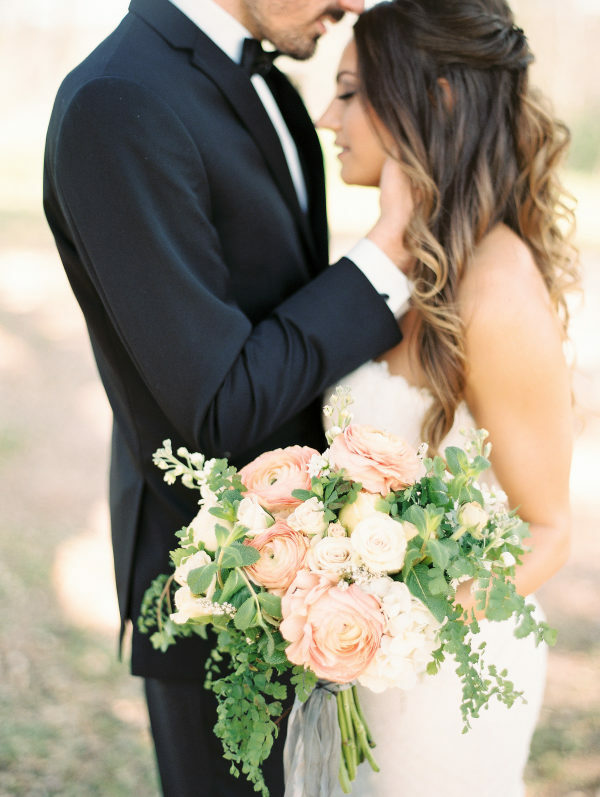 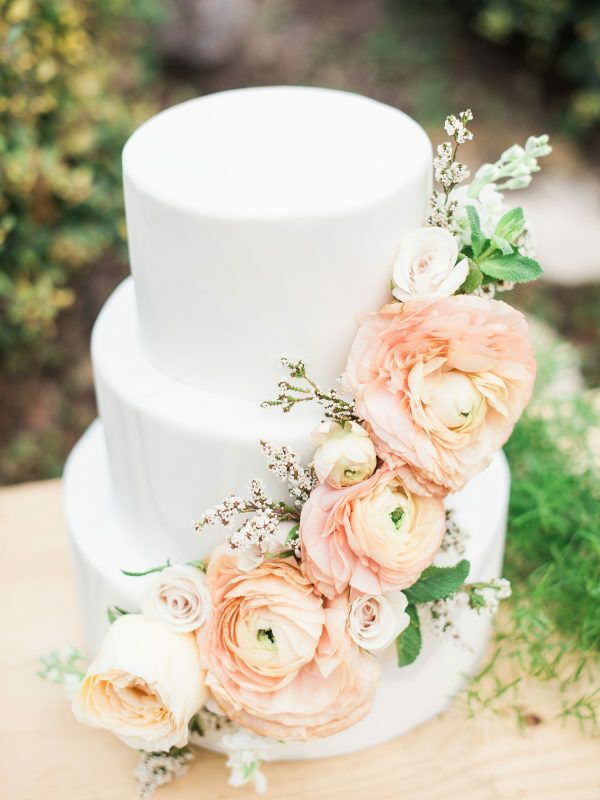 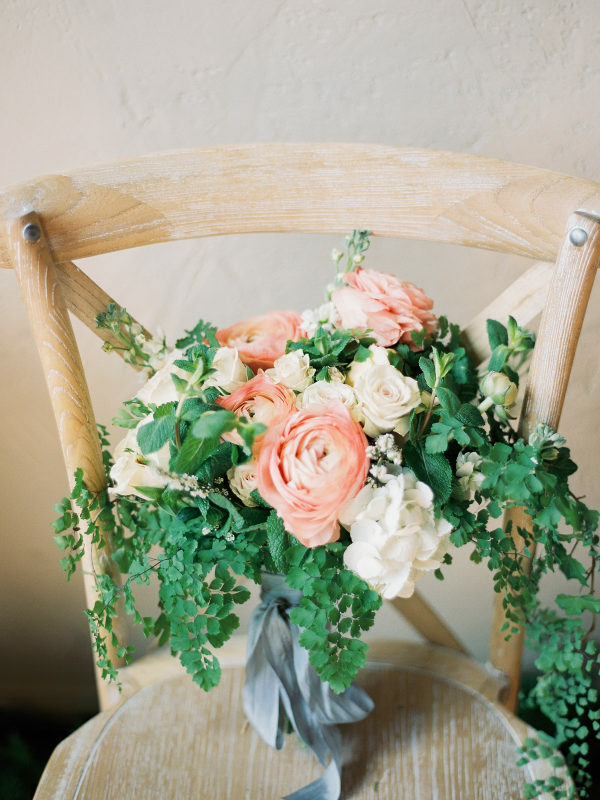 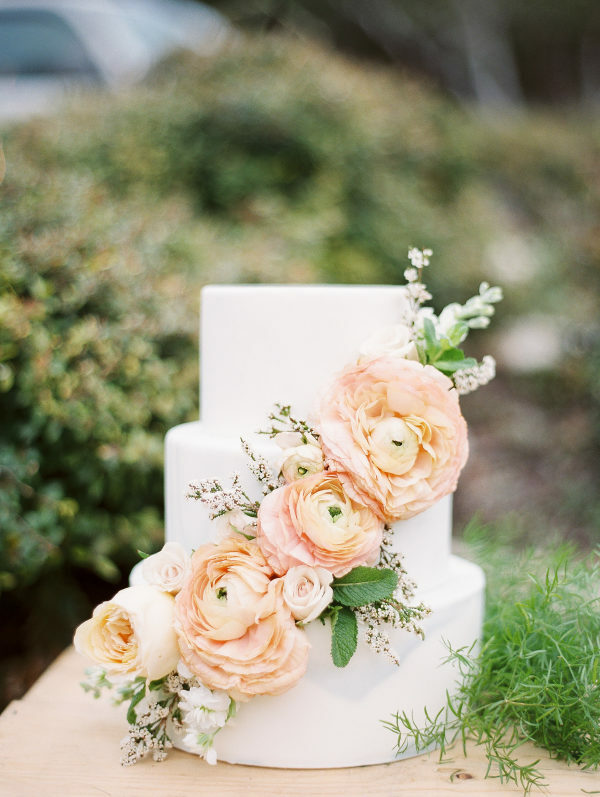 You won’t want to miss this stunning modern wedding inspo, featuring the most perfect wedding flower — ranunculus.